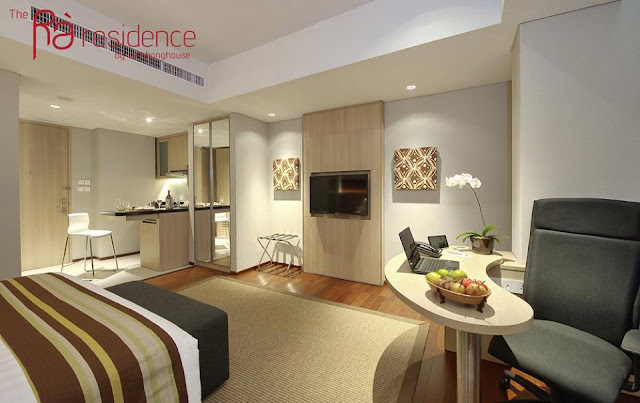 Visit www.raresidence.com for your option to stay in Jakarta! With the last 12 months being an exceptional year of growth, Piers Brown looks at his top 6 serviced apartment trends for 2016. A major travel buyer recently said the sector is "very good at talking to each other, but not so good at talking to the people who want to use its services" - a worrying reflection on how serviced apartments are perceived in some important parts of the distribution chain. With the UK serviced apartment sector predicted to double in size within two years by Savills, expect growth in new entrants, company takeovers, an influx of media coverage, fresh accreditation schemes, new trade association attention, and industry awards to recognise best practice and achievement. With the inevitable increase in competition from new incumbents, expect to see a more transparent, broad - minded and unbiased approach from sector stalwarts (at risk of being left behind) to drive the industry forward. Airbnb has an envious base of over 50 million potential readers, spread over 57,000 cities in 150 countries, well in tune with the brand's core product and attributes, and very loyal. With the scale Airbnb already possesses it would be pretty easy (and predictable) to launch a loyalty scheme based on guest and host stays, but we think it could go a step further and enter the hospitality news services sector, something close to our heart here at Serviced Apartment News. This could threaten a broader range of media / services such as hospitality review websites. The company generates over $900 million USD revenues and beyond developing its global footprint, Airbnb wants to build a community of homogenous users ripe for ongoing demographic and psychographic profiling (e.g. young families looking for budget rentals, yuppies aiming at trendy places…) - they have the data. This, coupled with the ground swell of awareness would save it tens of millions of pounds otherwise required to promote its content services-after all, in the travel industry, advertising and marketing demand high spending. In November 2014, Airbnb launched Pineapple, a 128 page, ad-free, glossy quarterly magazine, mostly written by hosts and guests softly discussing their experiences. It was distributed for free in some Airbnb hotspots and sold at selected bookstores such as WH Smith in Paris, and it is reported the company is already considering the options and is in discussions with Hearst publishing company. So what's new? Hotels and serviced apartments have distributed magazines to their guests for a long time now - print is certainly not a key part of Airbnb's media future. Mobile apps are, and the company is investing heavily in engaging the mobile guest. Last year, it is estimated around 20% of Airbnb bookings came from mobile. That was before last December's app redesign. Today, Airbnb ranks in the top five apps in seven countries, and in the top 100 in 152 countries. The company recently announced a partnership with Deutsche Telekom's T-Mobile to pre-install its app on Android smartphone across 13 markets in Europe - a decisive move for Airbnb's mobile expansion, and we expect more pre-installation tie ups across the major smartphone brands to be announced shortly. Regardless of the market segment, a well known brand coupled with a set of mobile services is a dynamic combination. Could serviced apartments soon become a staple part of the serviced office package? It's possible - and we've seen new, innovative concepts recently enter the market, with the efficient use of space, commuting phobia coupled with urban living trends being key some of the drivers. WeWork, co-founded by entrepreneurs Miguel McKelvey and Adam Neumann will soon introduce their co-living concept with new brand, WeLive. Other entrepreneurs committed to growing the collective living / coworking shift include Giles Fuchs, CEO of Office Space in Town a supplier of 11 design-led serviced offices across Central London, Northampton and Cardiff in the United Kingdom. Look out for their debut in overnight accommodation in February 2016, at its newly launched Monument serviced office centre in London. Rooms are provided on-site and are exclusive for clients, with Monument also set to offer an on-site treatment room three days per week. Other pioneering concepts include Hans Meyer's Zoku, and dutch company Joinn , offering a "hotspot for work, lounge and short stays", while Troy Evans, owner of Common Space LLC is developing 'micro-units' in downtown Syracuse NYC above a coworking space. The UK-based workspace operator DBS Managed Offices has just launched its own serviced apartments geared towards attracting local and small to medium sized business clientele. Sophie Maxwell, Pearlfisher's Futures Director recently said that premiumisation "has created the bridge between the desirability of the luxury world, and the function and necessity of the mass market". Retail premiumisation, particularly when it comes to brand and designer collaborations are all too numerous and this has, over time become a problem for the exclusivity these brands crave to create, and successful cross category brand associations are far from guaranteed with a more discerning consumer and the choices available. Unsurprisingly, brands need no excuse during the 2015 Christmas period. One of our faves is how the luxury Hermes brand has linked with the Apple watch, mixing traditional luxury craftmanship with a technology product 'of the moment.' Apple Watch Hermès describe it as the 'culmination of a partnership based on parallel thinking, singular vision, and mutual regard.' Perhaps less compelling is Tumi's Johnnie Walker tasting kit - as they say "you pays your money, you take your choice." Hospitality and the real estate sector has delivered it's own examples of premiumisation including establishing a profound new multi-billion $$ branded residences category as a direct result. Guests will always aspire to a better quality of stay, and luxury and impeccable service makes us feel special because it is special. With the commoditisation and growth of price-sensitive OTA booking, guests have continued to seek inexpensive ways to experience luxury and specialness, with ever more promiscuous brand loyalty. And this has created a new niche - and a 'mass' desire - for 'premiumised' products. Premiumness, as with luxury, establishes difference at a price we can afford and in ways that we can incorporate into our daily lives. 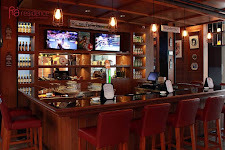 If hospitality brands can develop a truly resonant understanding of what premiumisation means for them they can use it masterfully to take their brand to a new level, communicating desire through unique and truly special new expressions. The Bentley Motors' design collaboration of a 'one of a kind suite' at the St Regis New York is an example, and Mercedes Benz' recent partnership with Frasers Hospitality is another attempting to revolutionize the luxury serviced apartment category. The luxury car brand is attempting get closer to the leisure and business traveller, by moving a simple quality transport offering into the realm of a captivating and luxurious guest experience. The brands' journey doesn't stopped there, as with so many new and different ways to premiumise and add perceived value, it's more about understanding what it really means to guests. Is the design and creative collaboration adding value in the right way - does it touch on imagination and originality to assert its status? is it creating value through desire but not valuing the brands out of their own market for instance. Sure, Frasers and Mercedes Benz have created their difference here, but have they created a new future definition and space that is more than just an enhanced price point - time will tell. 90% of the world's data has been created in the last 2 years and the hospitality sector, particularly serviced apartments is light years away in terms of extracting its full capability towards a personalised guest experience, and enhanced profitability. The simple and effective dissemination of data and 'all in one place' time saving technology solutions to make more speedy, informed decisions will be a game changer in hospitality. Where the distribution landscape offers the possibility of radical change is through a new, marked, and following the example set by the OTA sector, continual disruption of category. We are witnessing the emergence of truly revolutionary distribution languages that bring new energy, excitement and impact - breaking established norms - to set radically new and different standards. BridgeStreet Global Hospitality's recent partnership with Airbnb is the start of the clamour to offer clients increased access and choice. It will be interesting to see how the sector evolves over the next 12 months - continue reading to see how we did with our 2015 and 2014 trend predictions. Thanks to Sophie Maxwell at Pearlfisher, and Frédéric Filloux of Monday Note for some inspiration whilst writing. We welcome readers views and please join the conversation with others on the discussion board below.